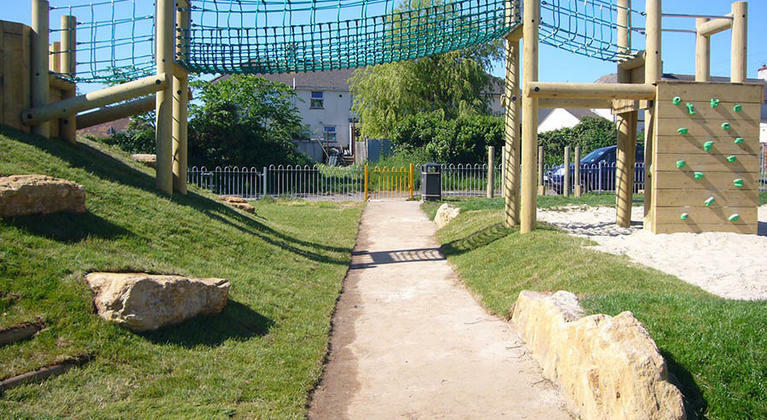 Jocelyn Park play area refurbishment was commissioned by Chard Town Council with a budget of £50,000 and completed in 2010. 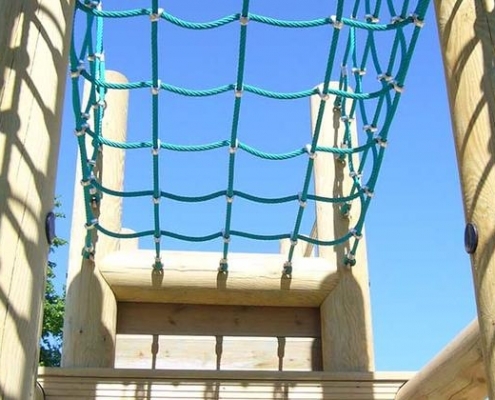 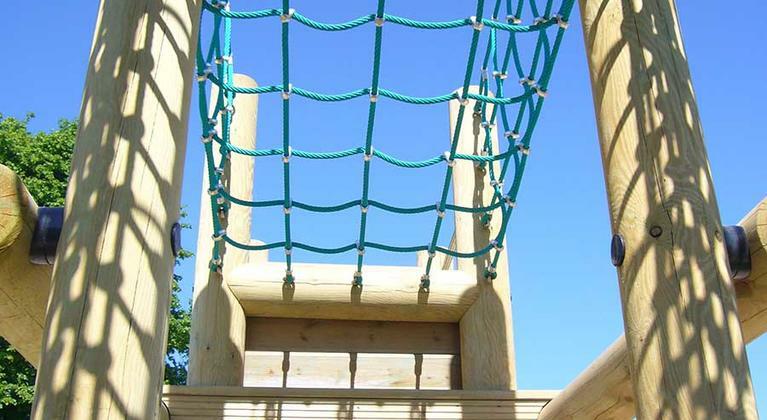 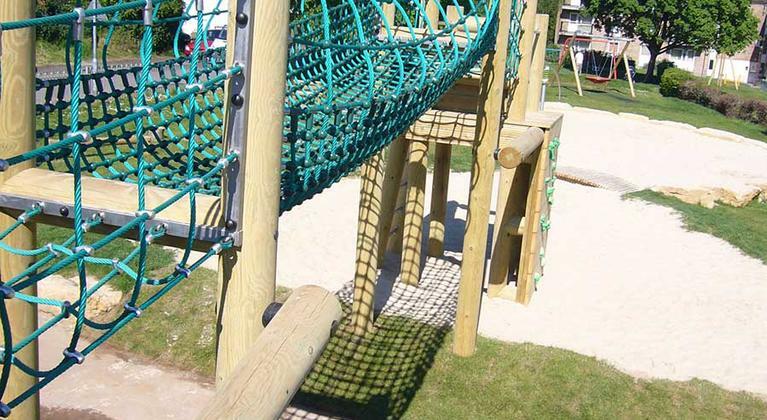 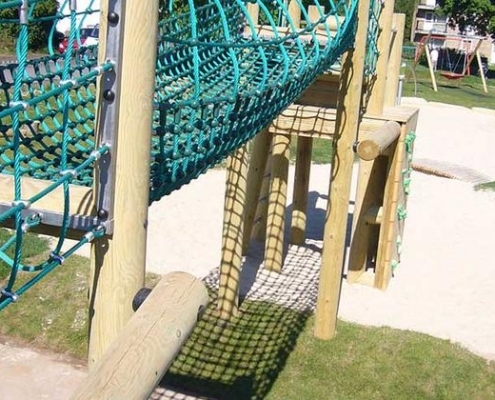 Working in consultation with local residents a natural play area was devised with a large new central sand play and log multi unit with rope play. 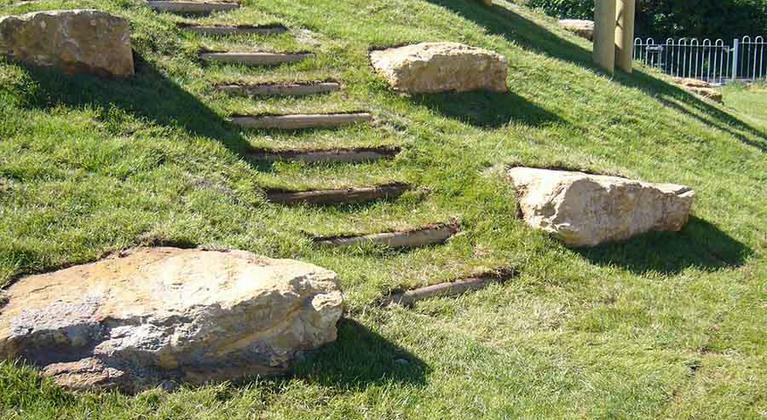 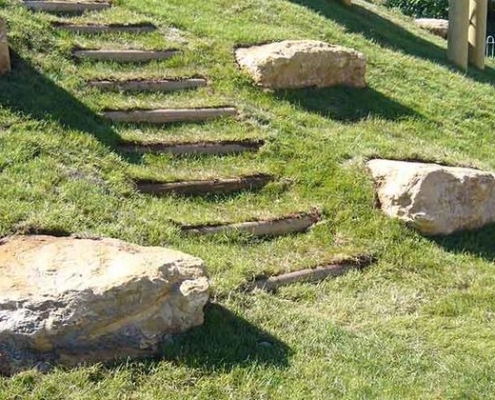 Natural boulders edge the space and double up as seats. 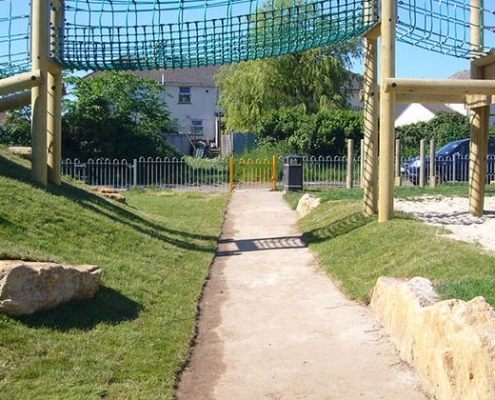 Low linking mounds define play zones and seperate a toddler play area.